MR 4F 0-6-0 43924 has been at the head of the last of the year’s weekday services and now takes a rest, with BR Standard 4MT 4-6-0 75078 taking over for the weekend. On Saturday and Sunday the early morning diesel service will be in the hands of the Class 101 diesel multiple unit. 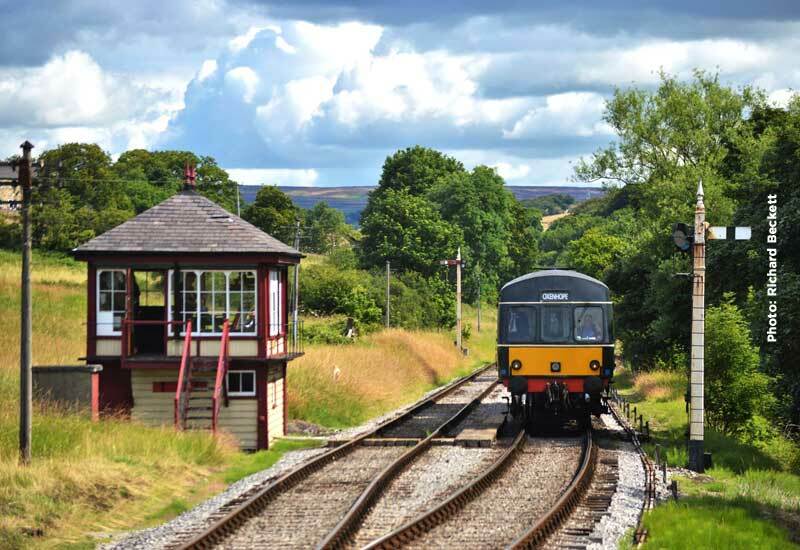 Normally, at this time of year, there is a two train service but next week is Civil Week when our Civil Engineers take over the line to undertake essential work to keep the Railway safe and in good order. In order to have the area ready engineers trains may be operating in the train paths normally occupied by the 2nd service train. To have an insight into what is in store for the workforce next week, take a look at James Barlow’s report on the preparations that have already been undertaken.